WASHINGTON — NASA suspended cooperation with its Indian counterpart in one area in the immediate aftermath of India’s March 27 anti-satellite test, only to reinstate it less than a week later. In a March 29 letter to K. Sivan, chairman of the Indian Space Research Organisation (ISRO), Al Condes, NASA associate administrator for international and interagency relations, said that NASA was suspending its participation in a working group between the two agencies related to human spaceflight issues, two days after India announced it had intercepted one of its satellites with a ground-launched missile. “It is NASA’s view that human spaceflight is simply incompatible with the purposeful creation of orbital debris generated by anti-satellite testing,” Condes wrote in the letter, provided to SpaceNews by NASA. 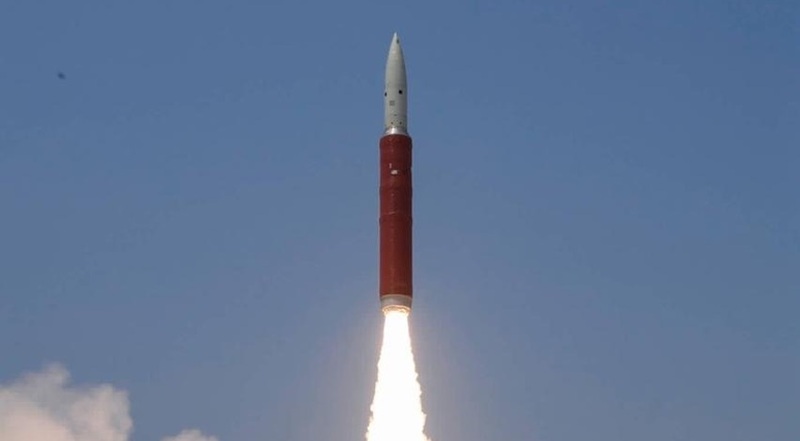 “Consequently, the Administrator has asked me to inform you that NASA is immediately suspending activities under the NASA-ISRO Human Space Flight Working Group until it receives assurances from ISRO that India will refrain from future anti-satellite tests that could have an impact on human space flight activities in low Earth orbit,” he wrote. Other areas of cooperation between the two agencies, he added, were unaffected by this decision. Condes noted in the letter that NASA estimated that the risk to the International Space Station from small debris would increase by 44 percent “over background” over the next 10 days as a result of the test. That was the same increase cited by Bridenstine in an April 1 town hall session where he criticized the test. It’s unclear if the brief suspension of activities by this one working group had any material impact. NASA has disclosed few details about the working group in general, thought to examine any potential assistance NASA might provide to India’s human spaceflight program, which has a goal of launching a crewed spacecraft into orbit by 2022. The second letter came as the number of objects linked to the test in orbits that go above the ISS has increased. At the time of the town hall meeting, Bridenstine said 24 objects were known to have apogees above the orbit of the station, about 410 kilometers high. Data released by the U.S. military’s 18th Space Control Squadron April 5 now lists at least 45 objects with apogees about the station’s orbit. Bridenstine alluded to the original letter at an April 2 hearing of the House Science Committee on NASA’s budget request. “I sent a letter to the Indian Space Research Organisation indicating that their activities were not compatible with human spaceflight,” he said when asked by Rep. Mo Brooks (R-Ala.) about any communications with India before or after the ASAT test. The two letters made no mention of any changes to cooperation on Chandrayaan-2, which will carry a laser retroreflector provided by NASA. That device, a passive instrument that allows ground-based lasers to perform accurate measurements of the distance to the moon, is also on board SpaceIL’s Beresheet lander. The biggest joint effort of the two space agencies, in terms of budget, is the NASA-ISRO Synthetic Aperture Radar (NISAR) Earth science mission currently under development. NASA is providing one of the radars for the mission while ISRO is providing another, along with the spacecraft bus and launch vehicle. NASA’s fiscal year 2020 budget request estimates that NASA will spend nearly $900 million on the mission, scheduled for launch in 2022. NISAR was not mentioned in either NASA letter to ISRO about the ASAT test.